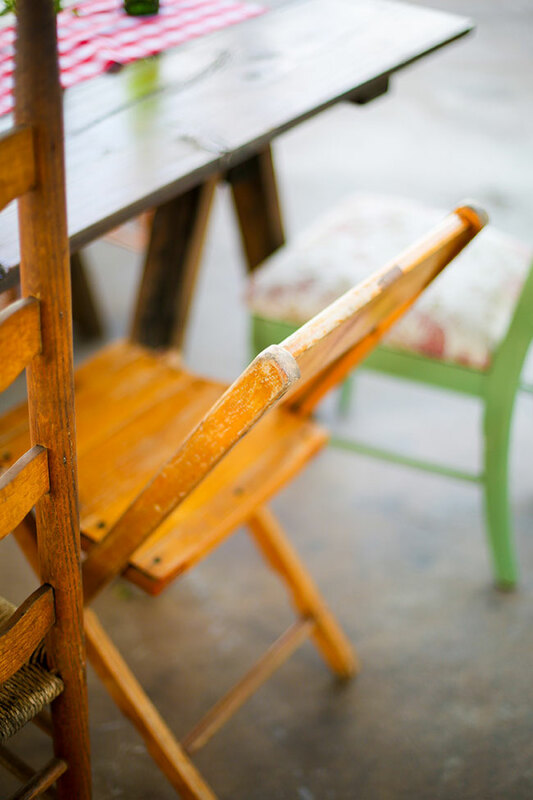 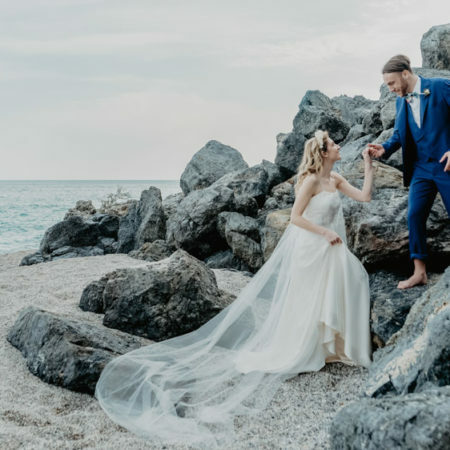 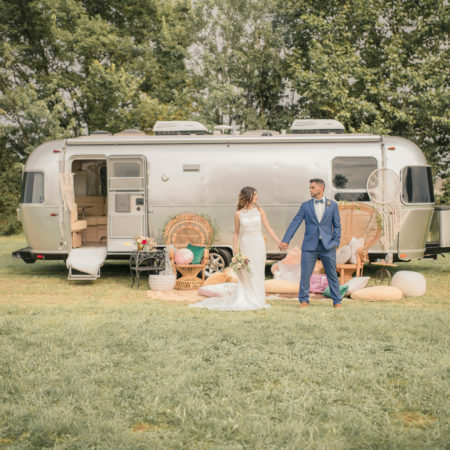 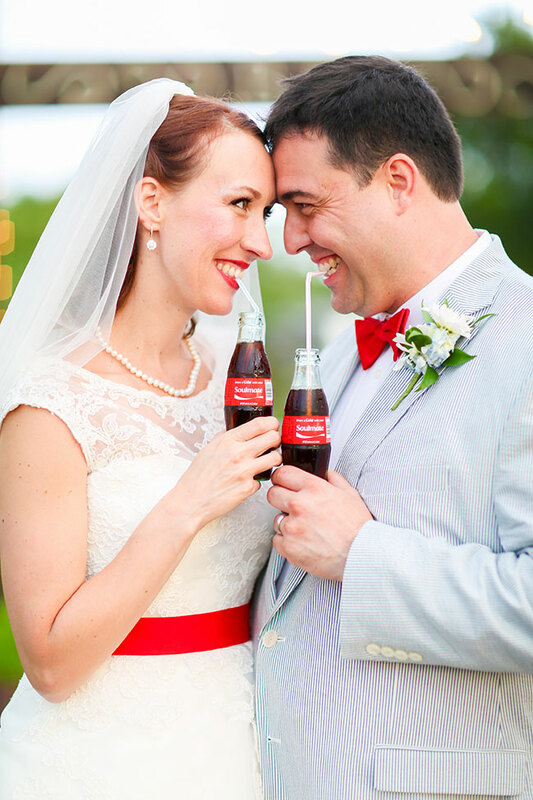 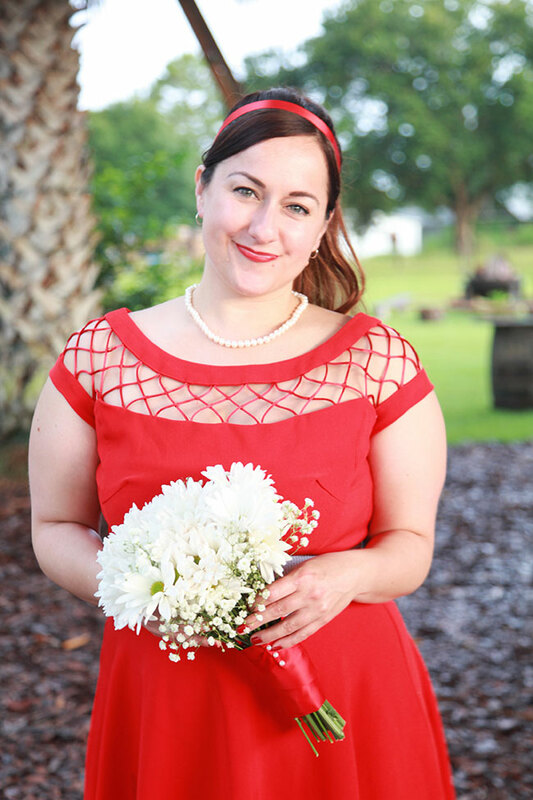 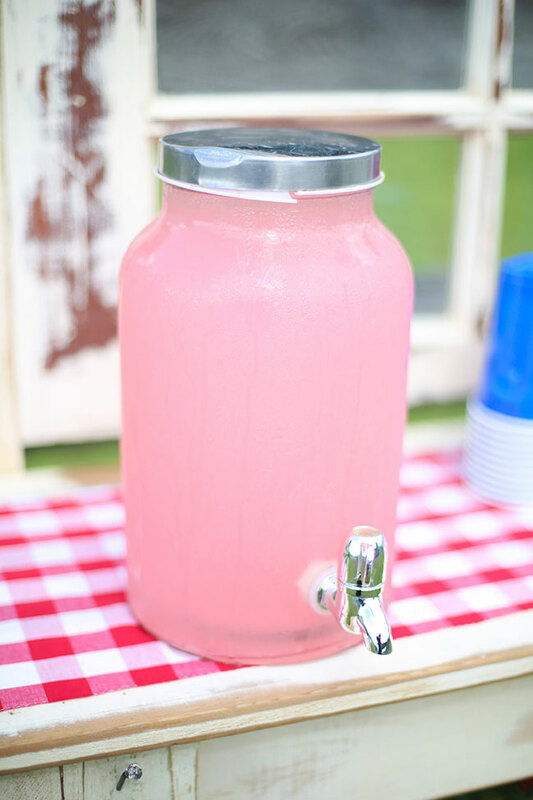 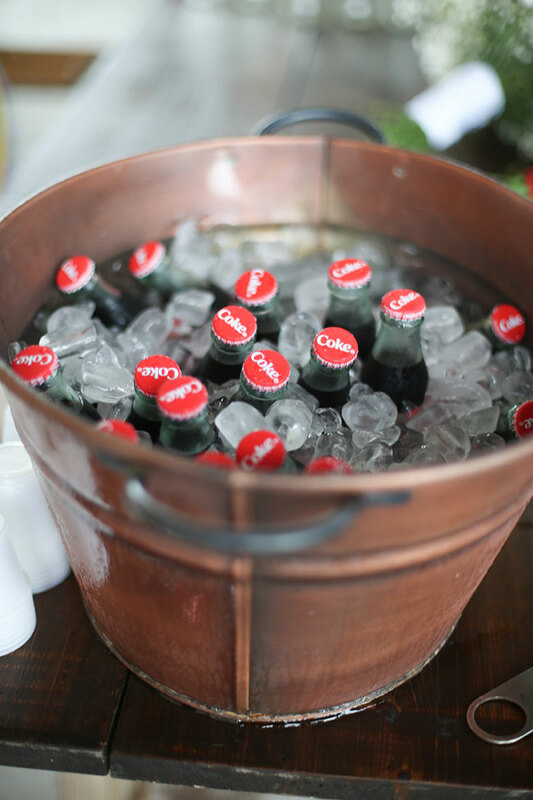 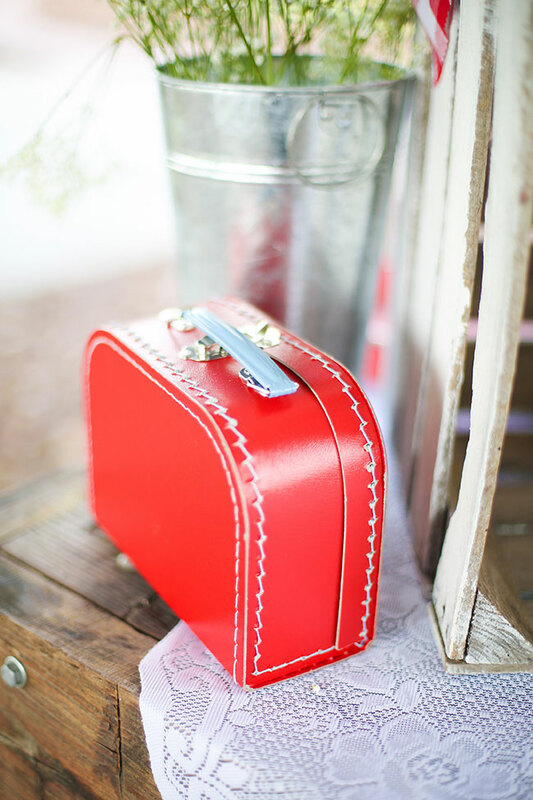 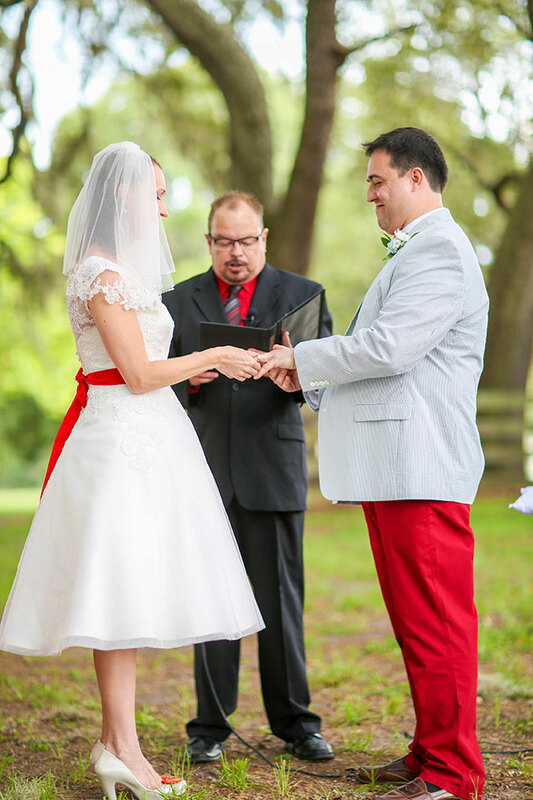 Today’s real wedding from Florida wedding photographer Wings of Glory Photography is a down home love letter to all things Americana! 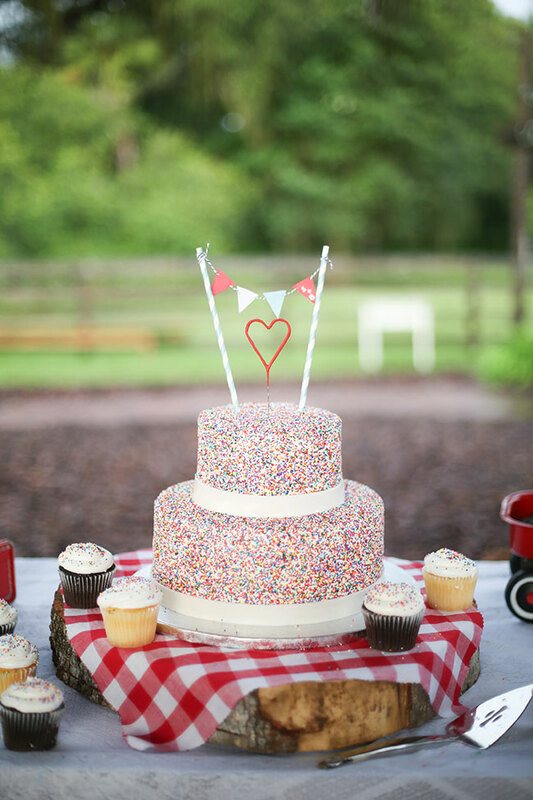 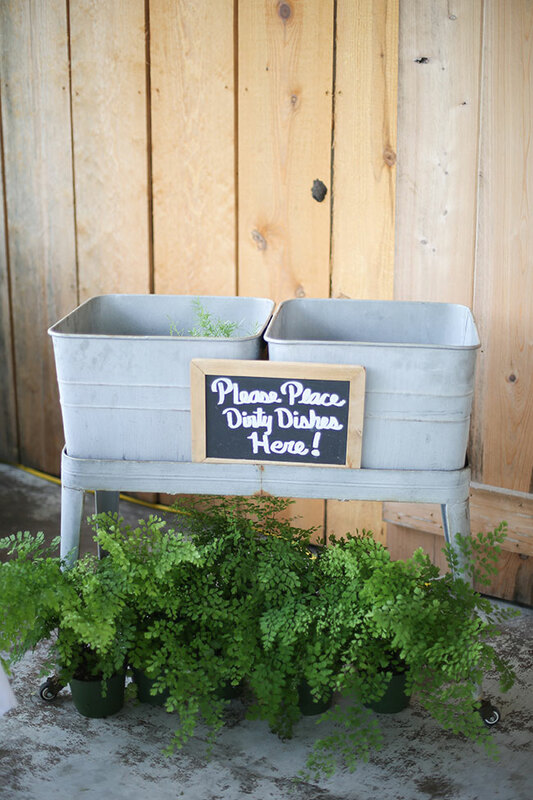 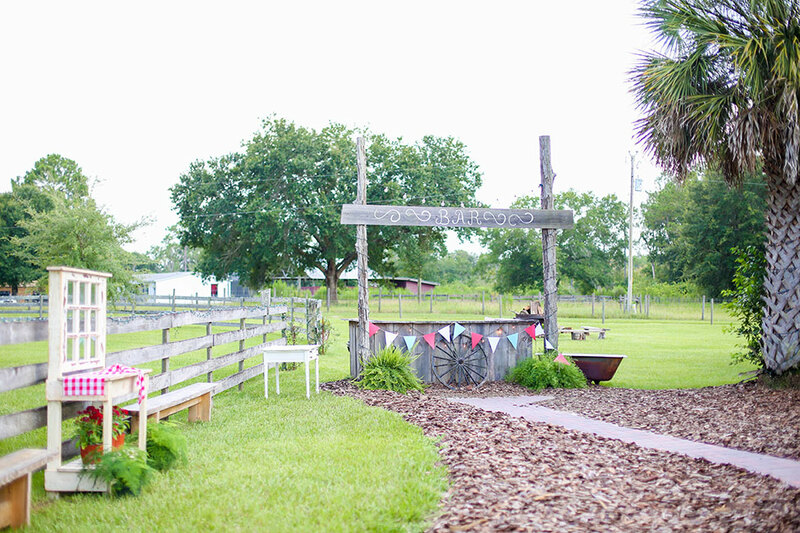 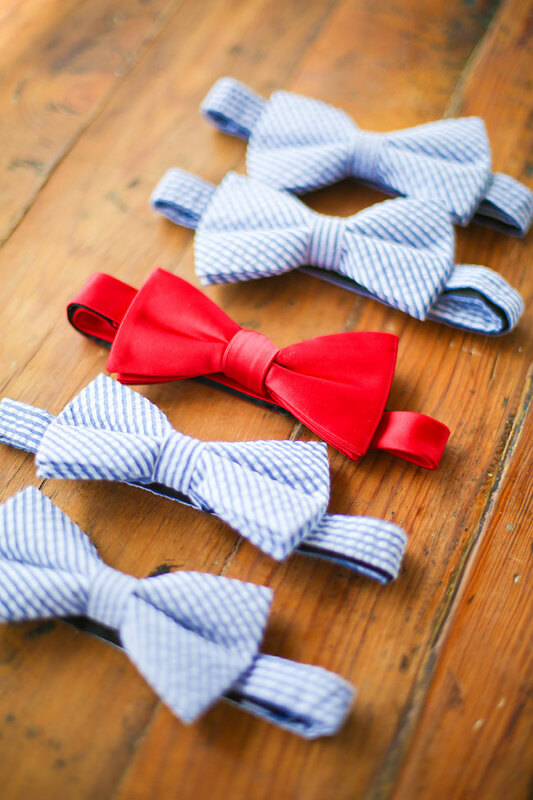 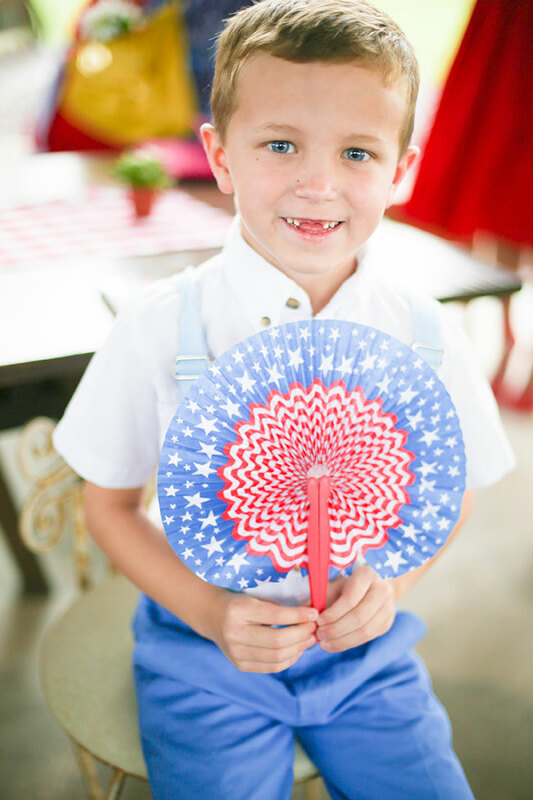 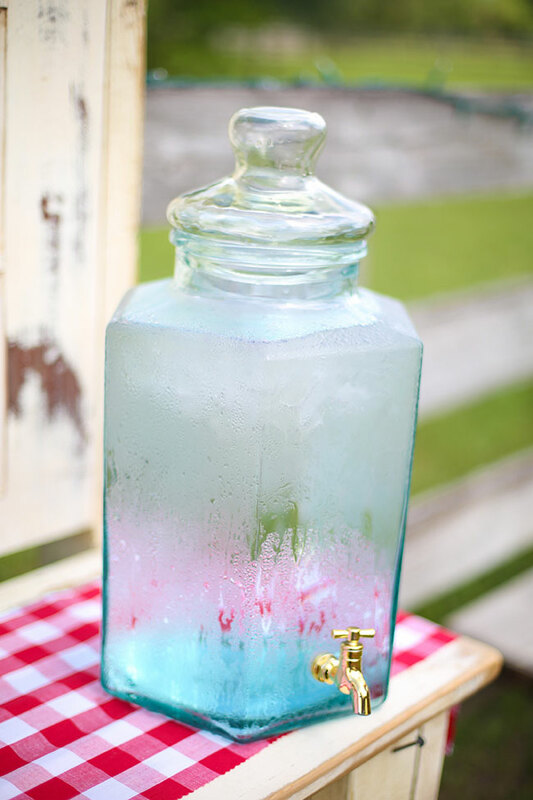 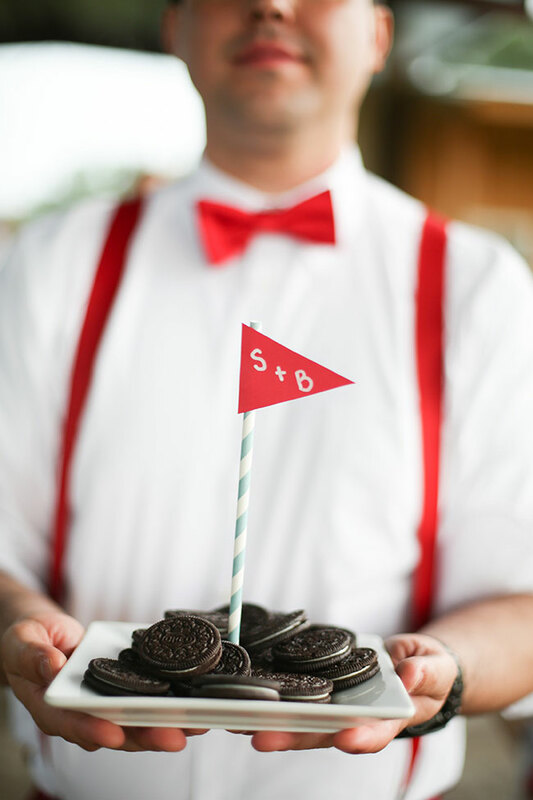 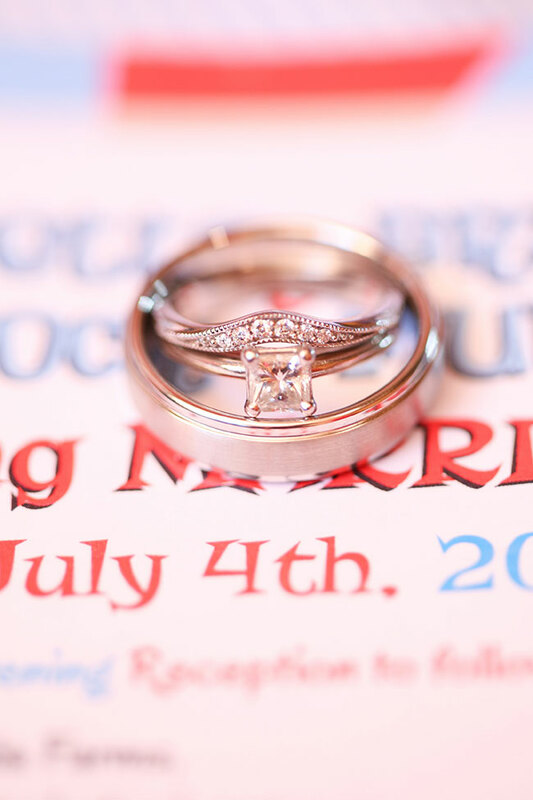 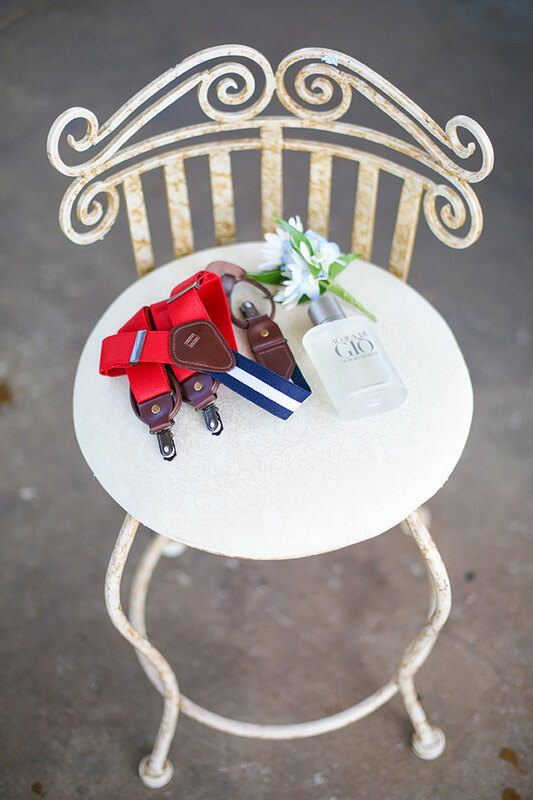 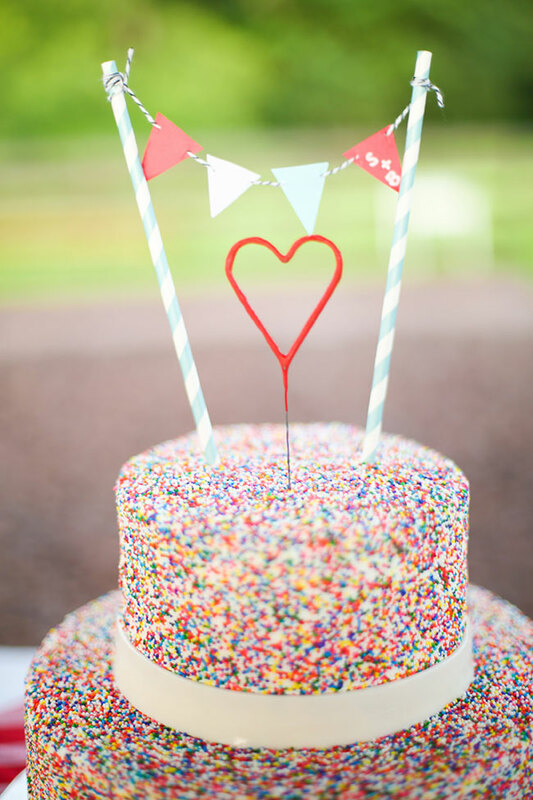 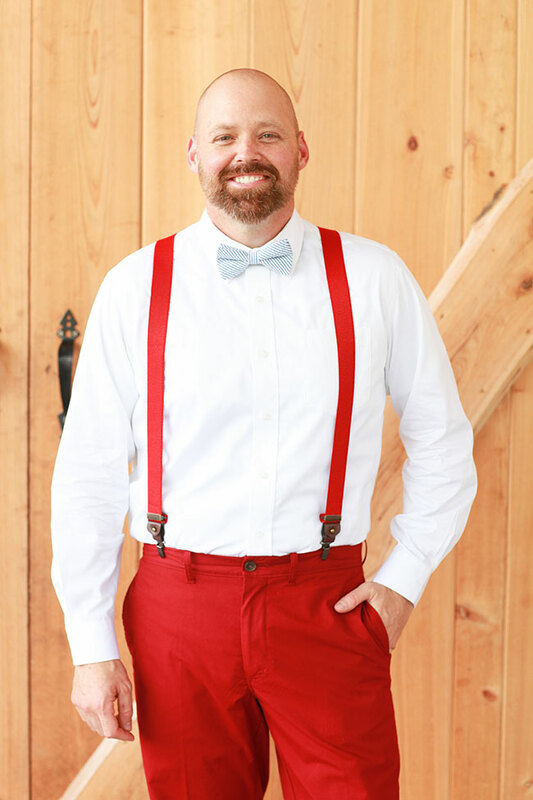 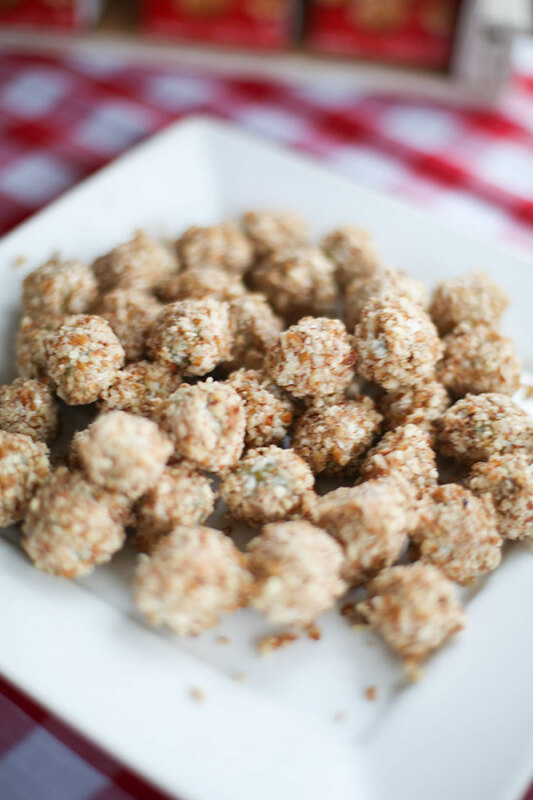 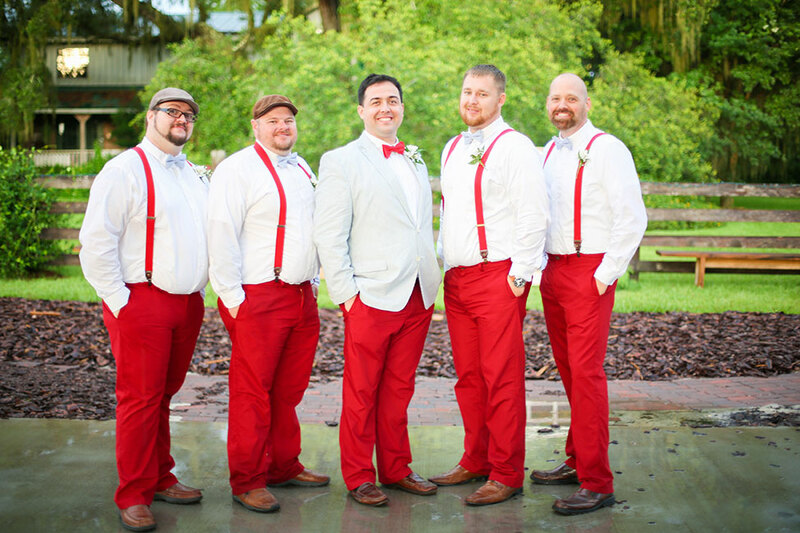 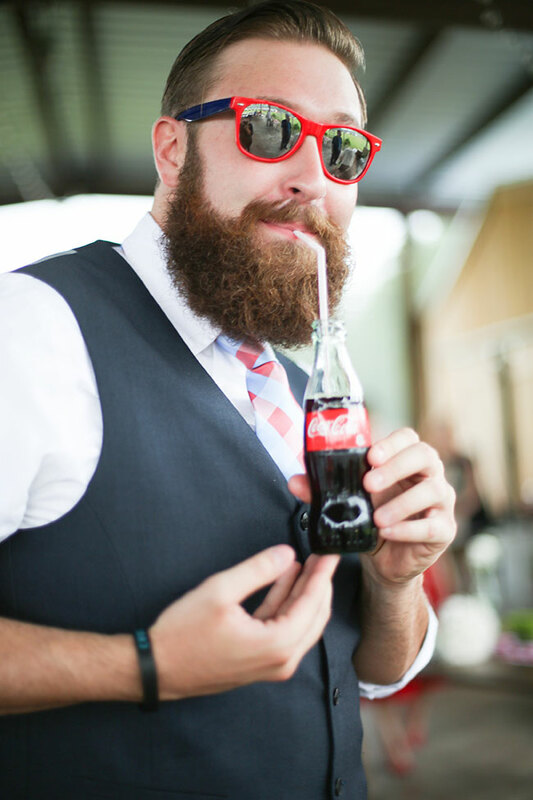 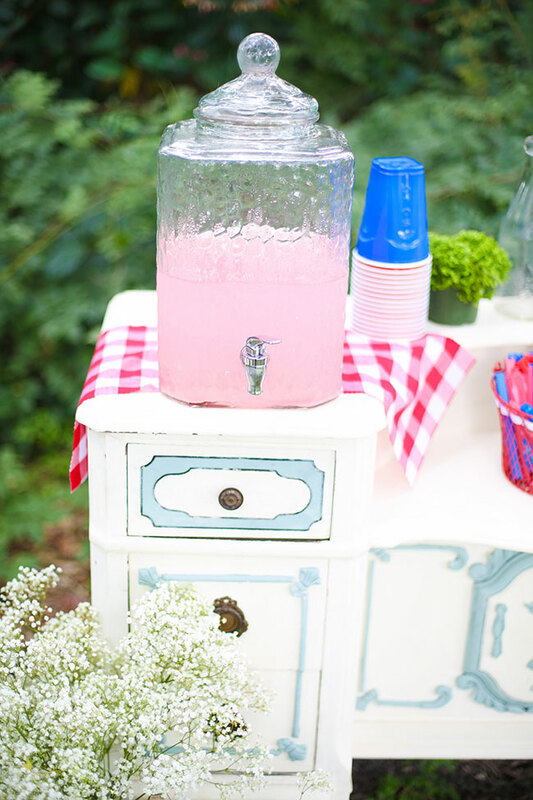 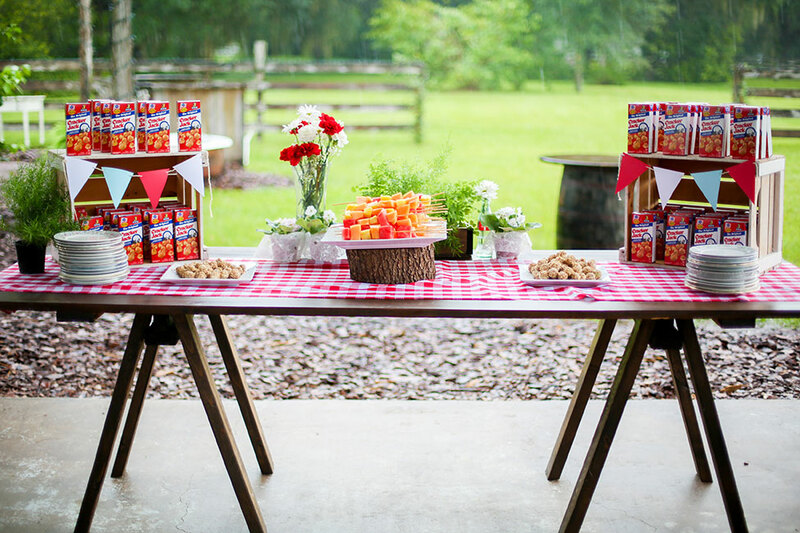 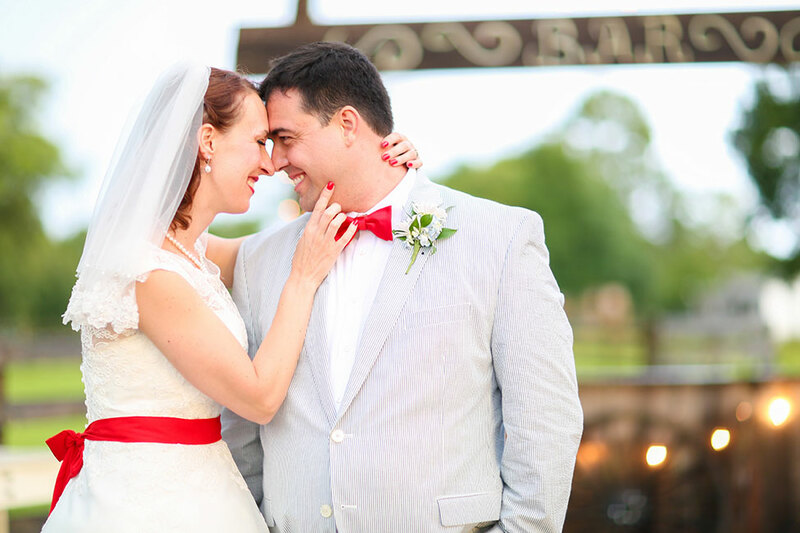 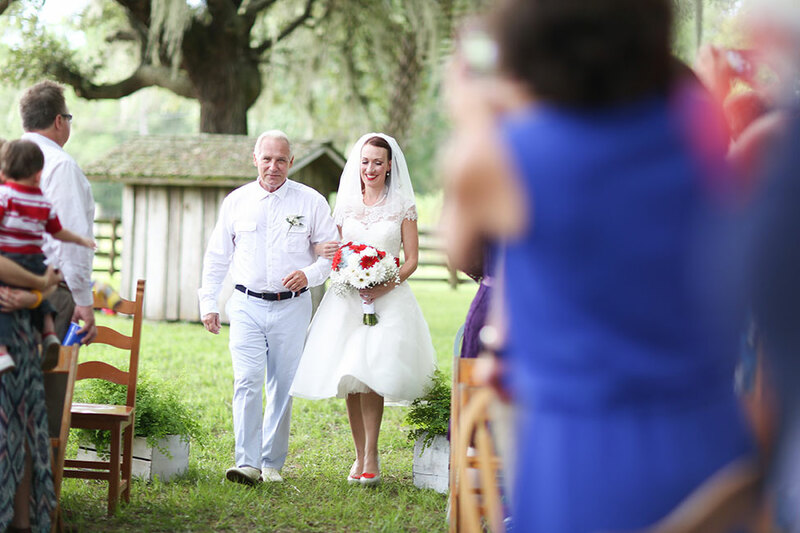 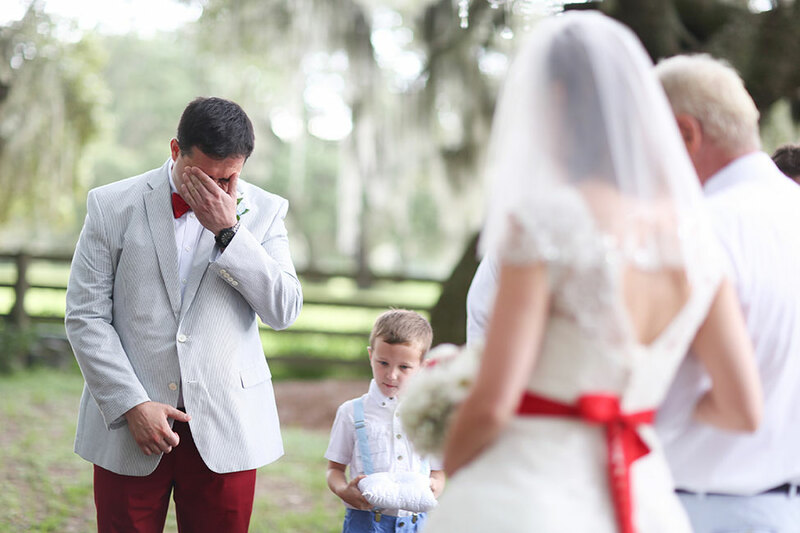 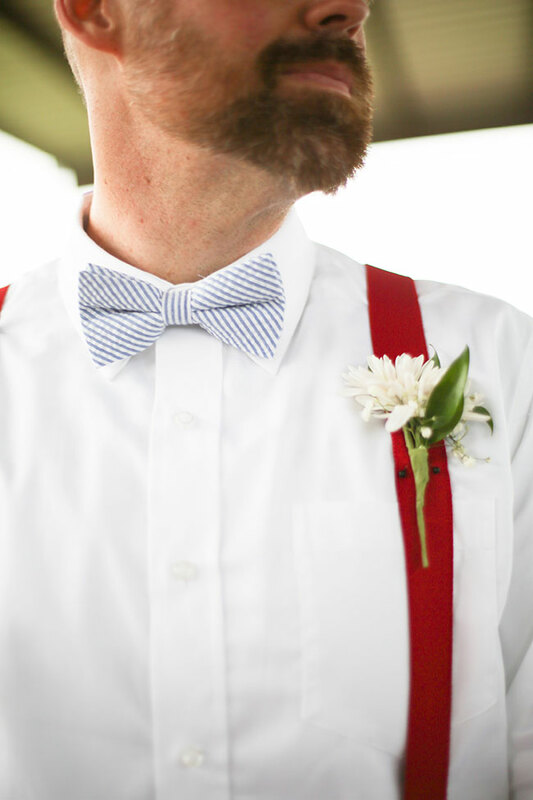 This red white and blue wedding, set at the rustic Isola Farms in Florida, is filled with wedding details that dont skip a single July 4th inspired beat. 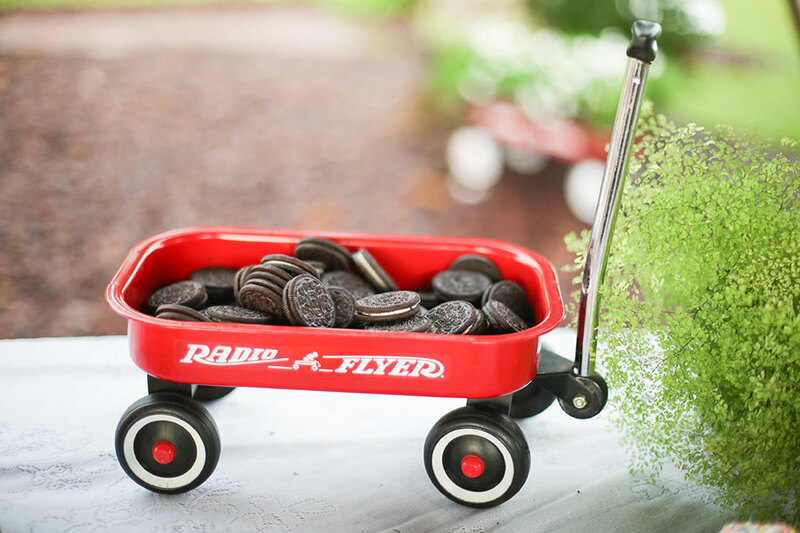 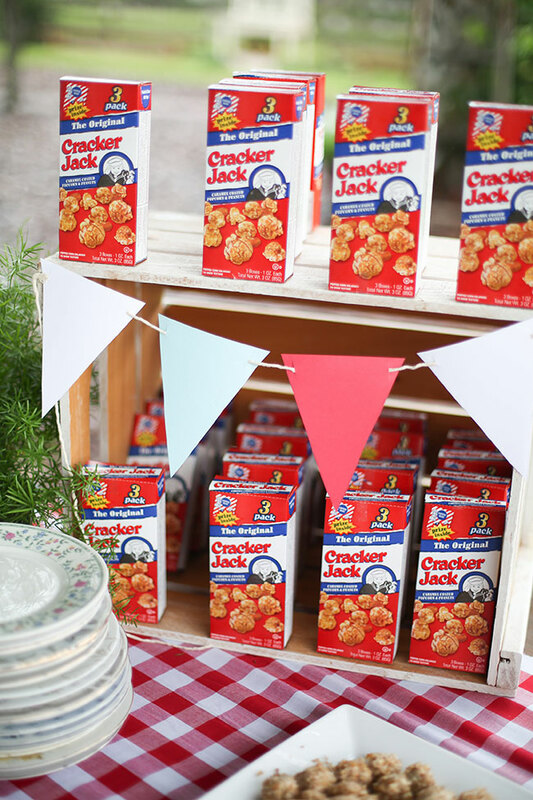 Cracker Jacks nestled into vintage wood crates while oreos are stacked high. 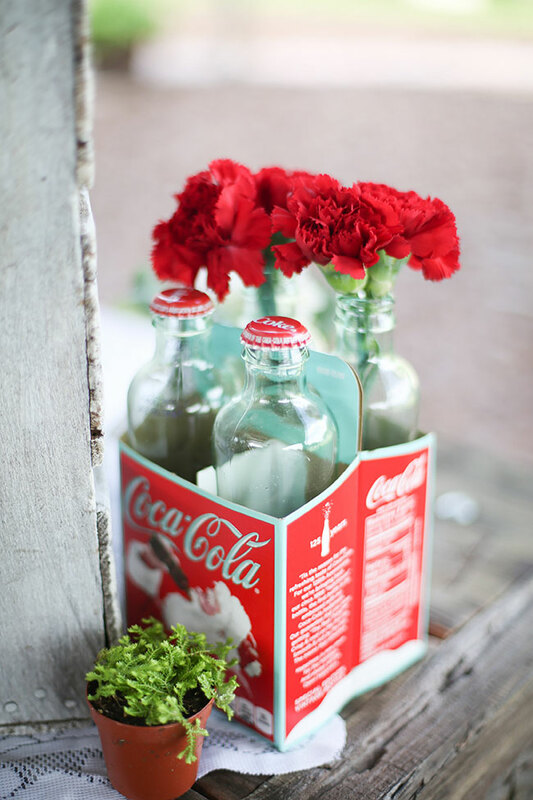 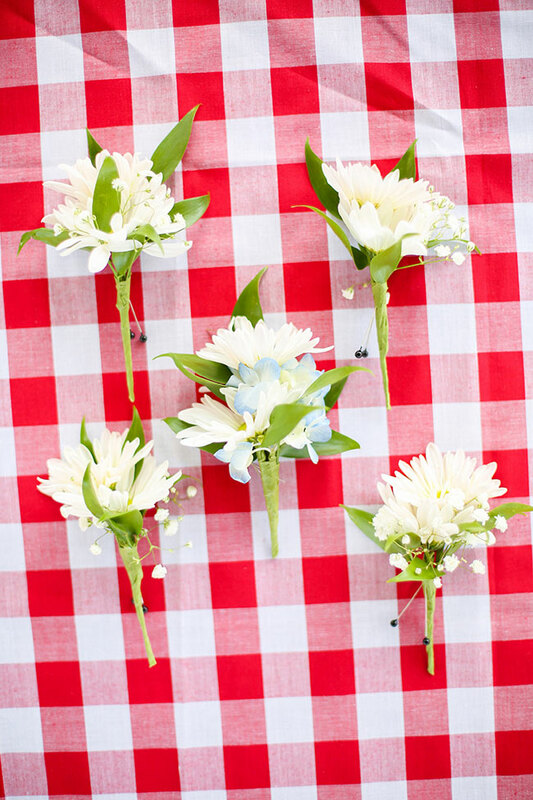 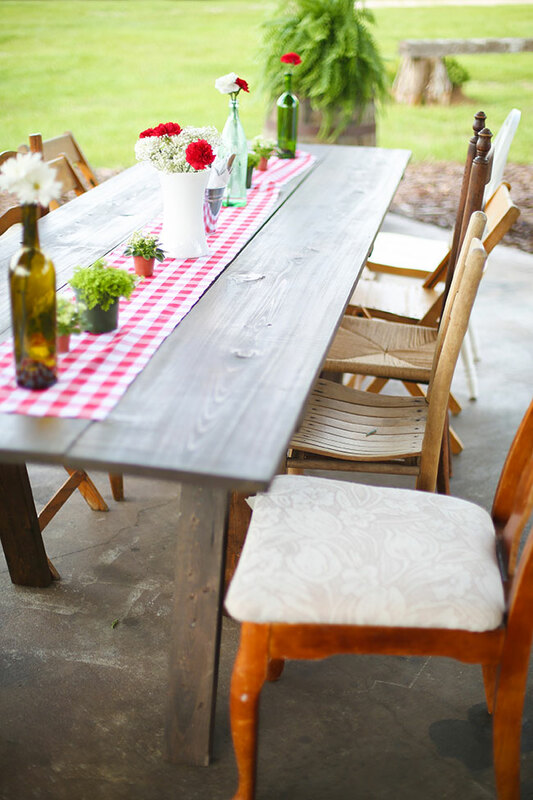 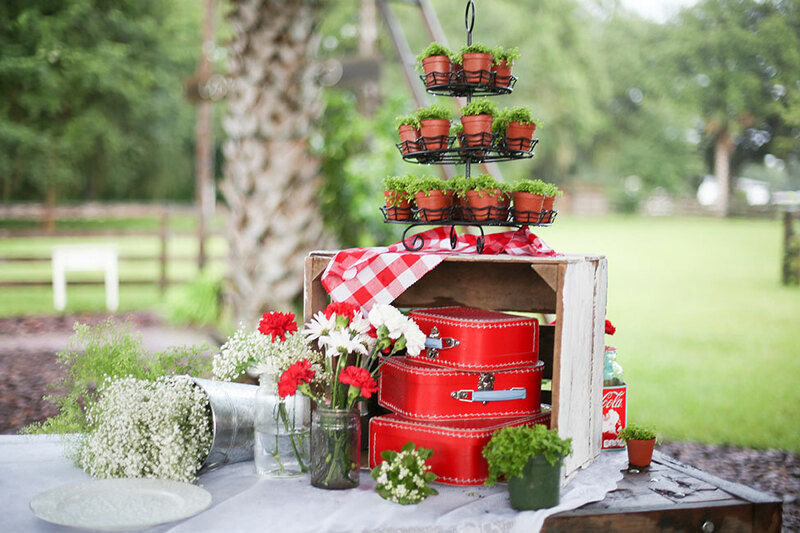 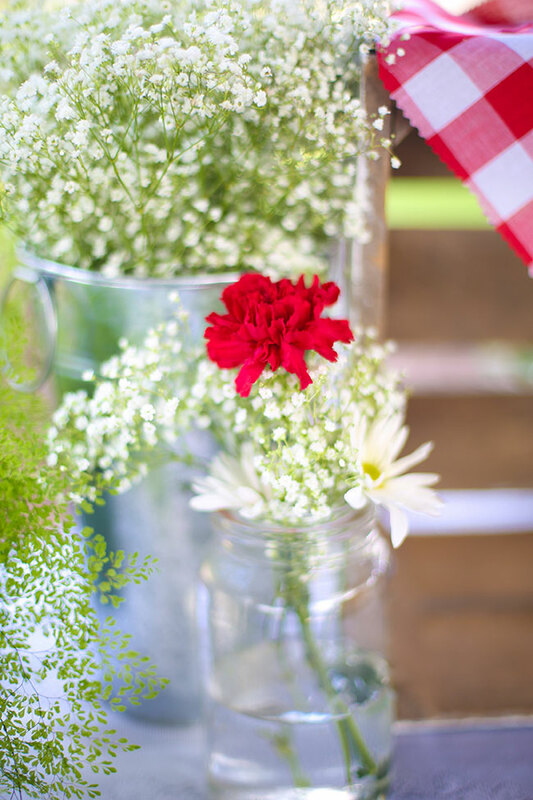 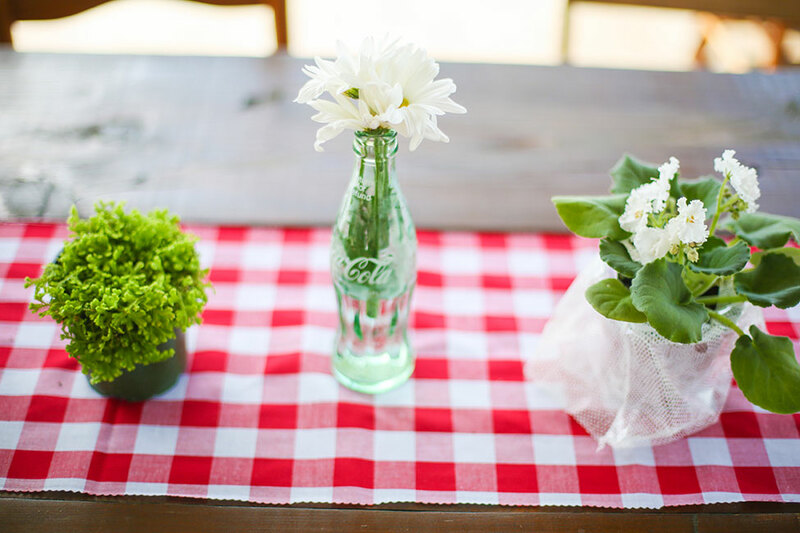 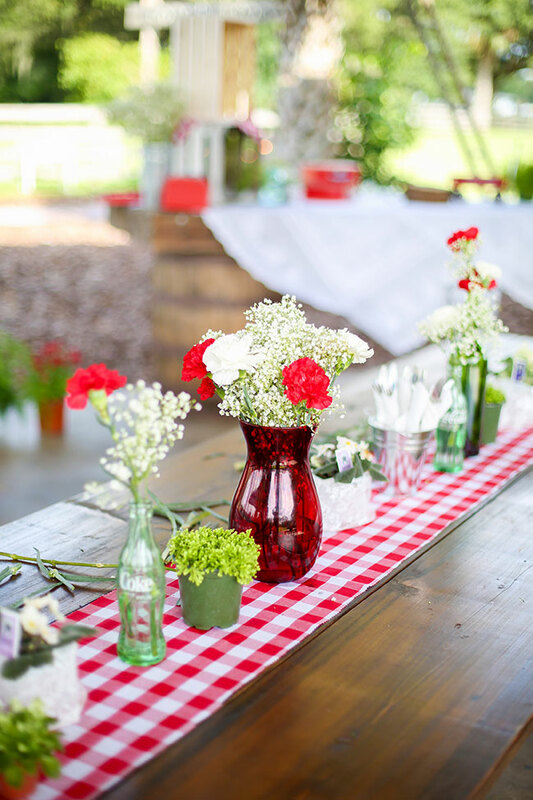 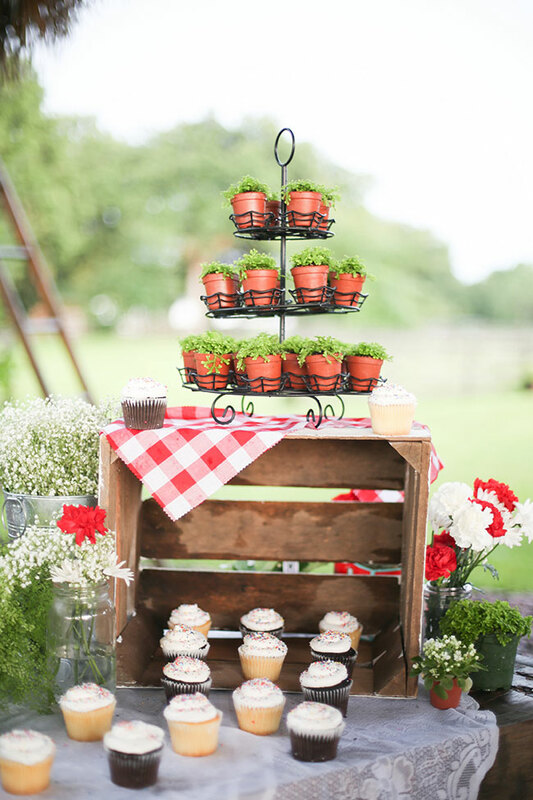 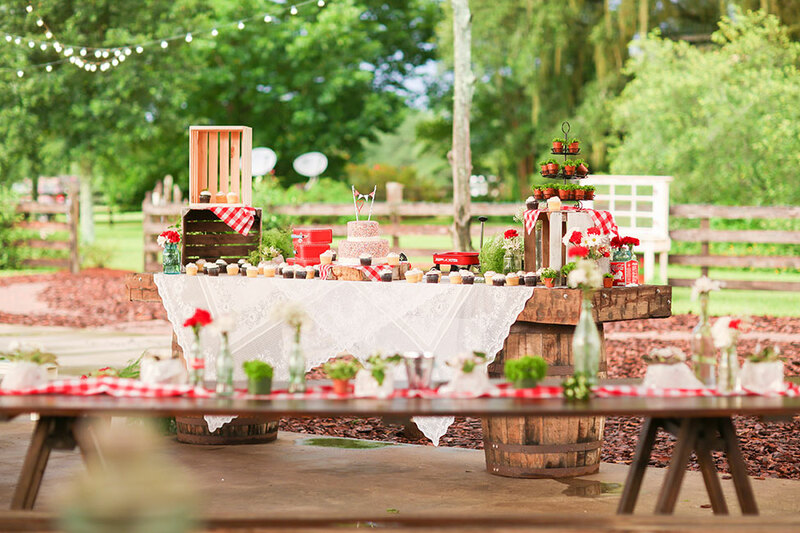 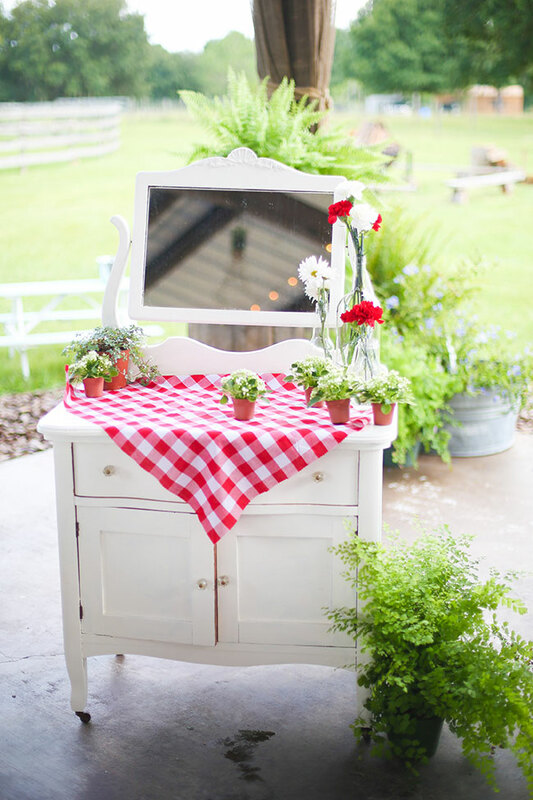 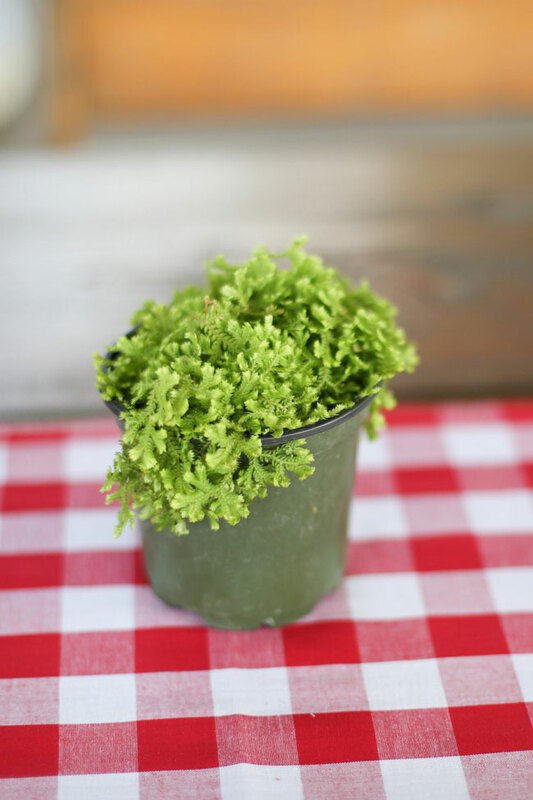 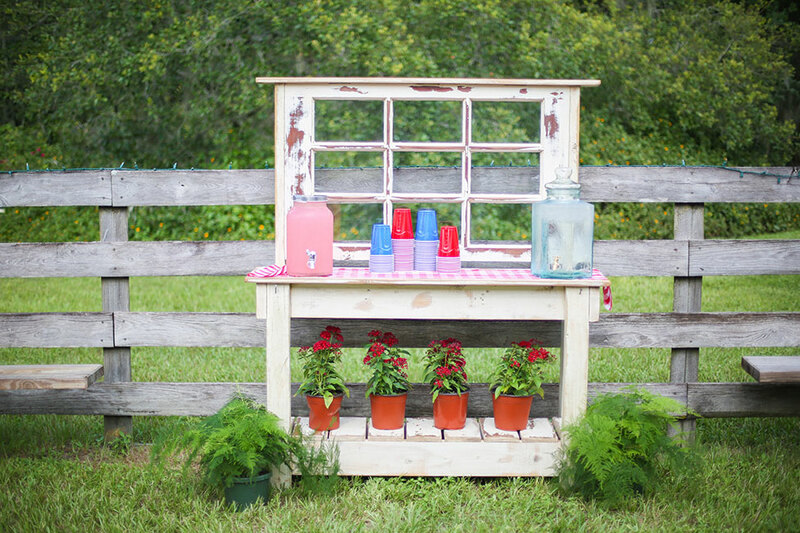 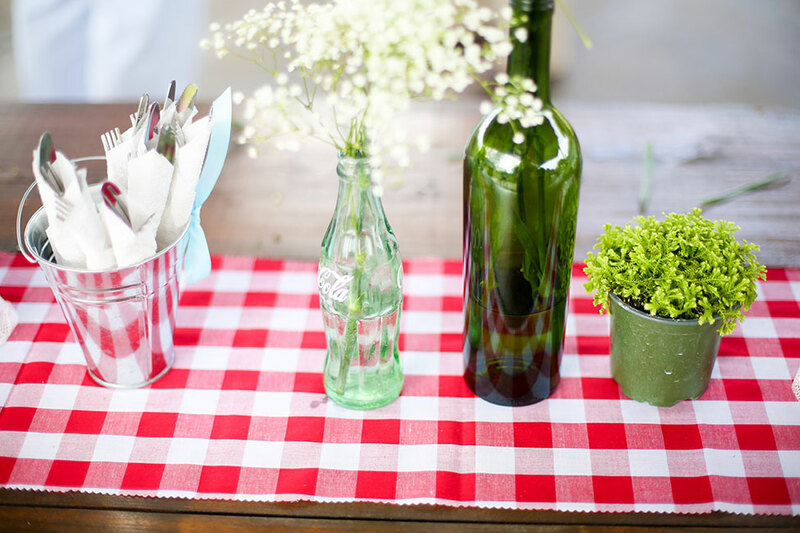 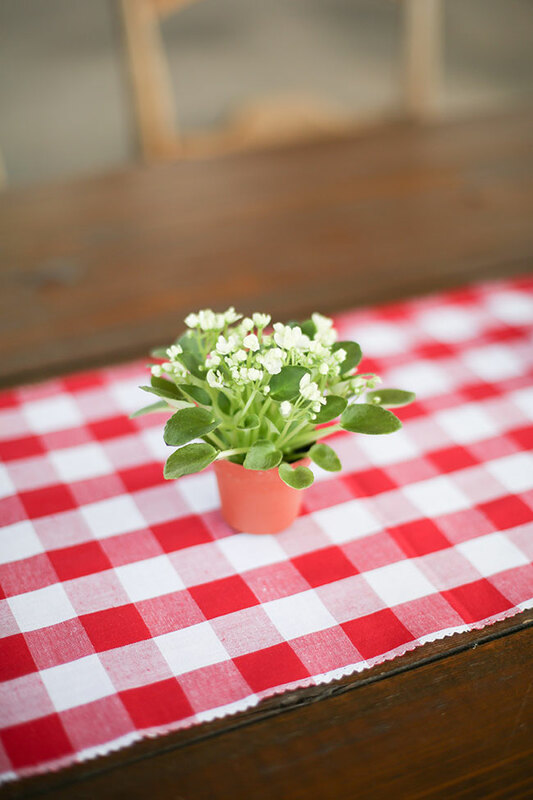 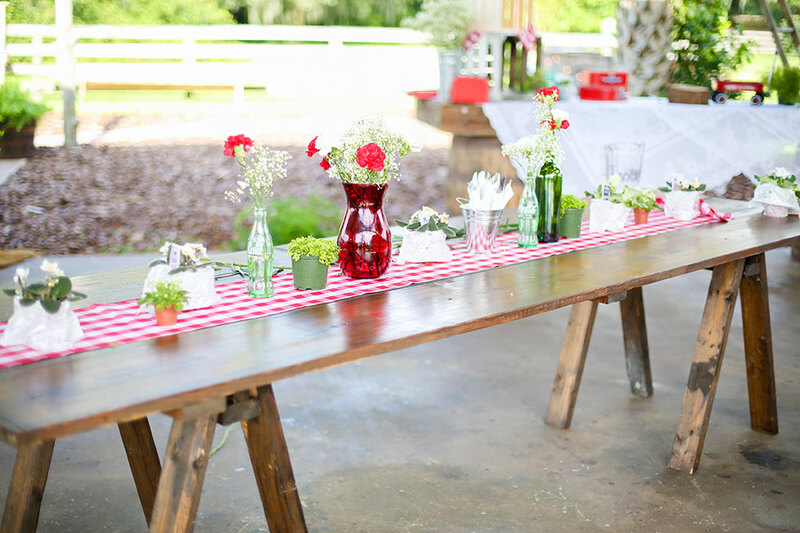 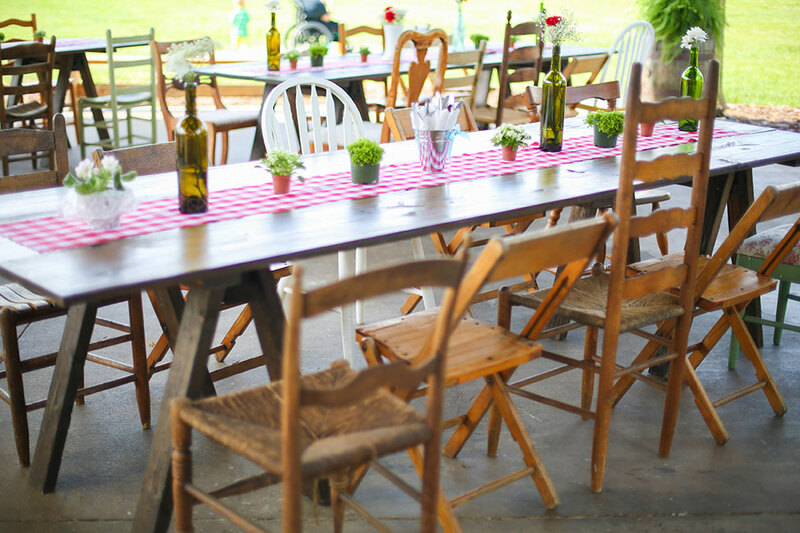 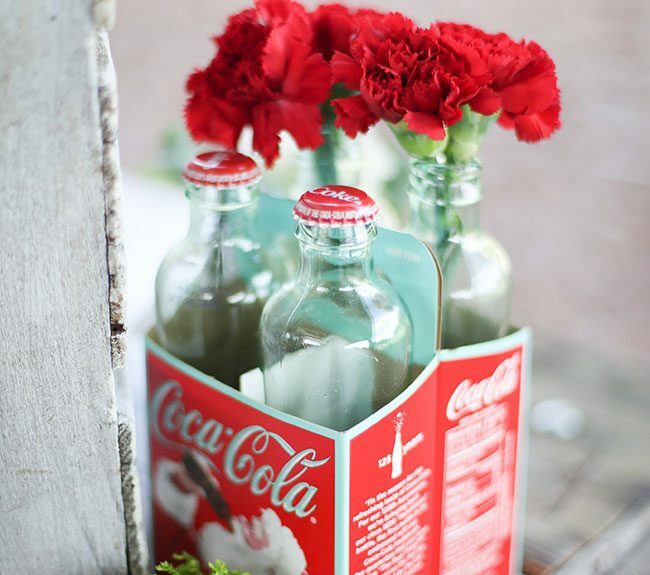 Red and white checkered table cloths adorn tables while mixed blooms fill terracotta pots & old coke bottles. 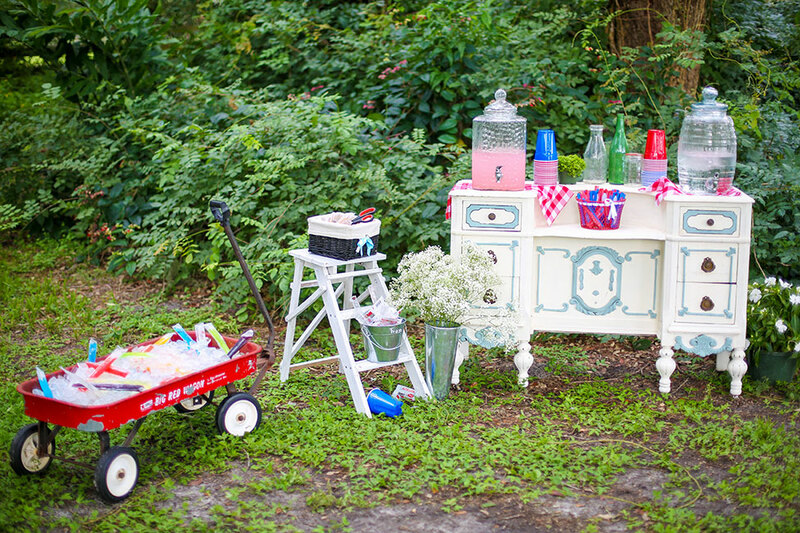 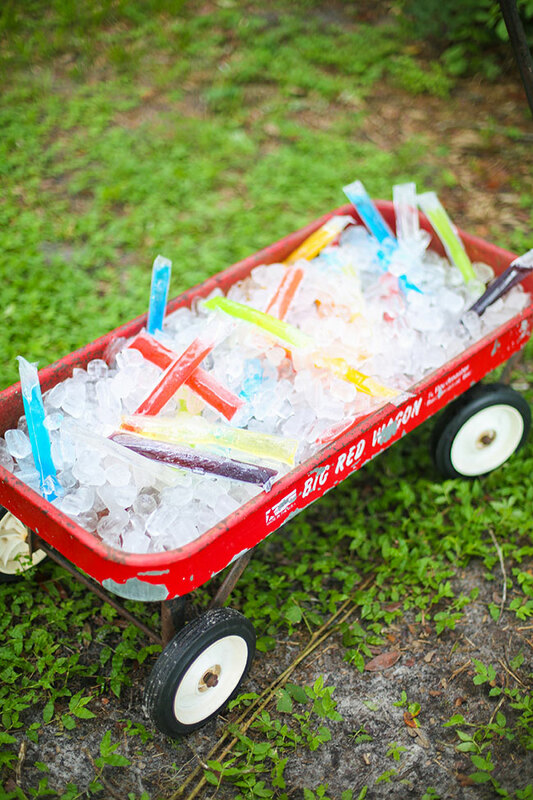 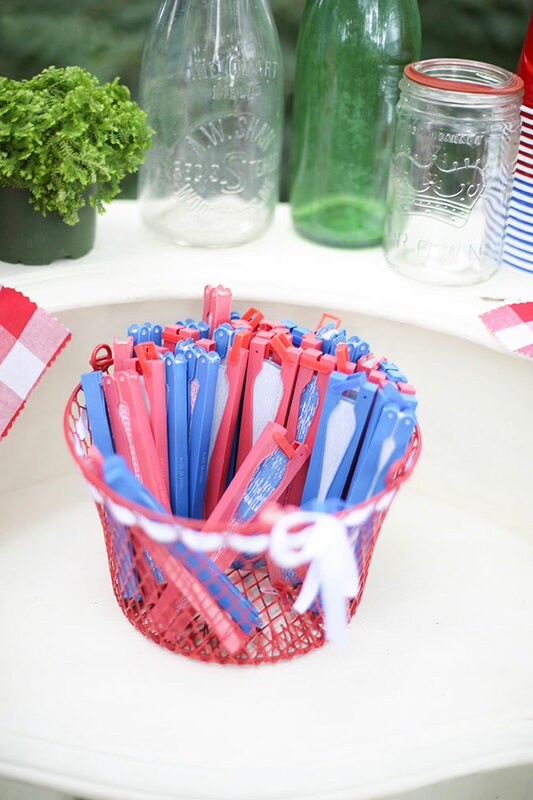 Bringing on just the right blue touch, seersucker jackets, blue push-pops, American flag fans and vintage blue cast glassware was used. 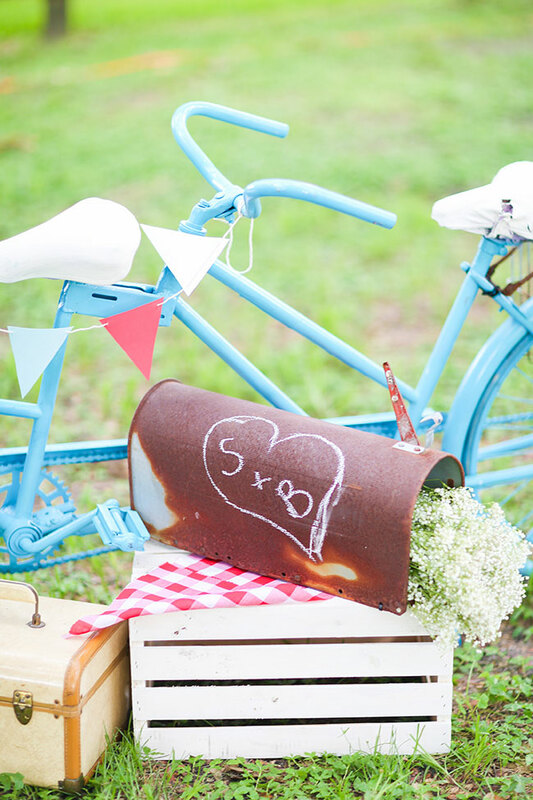 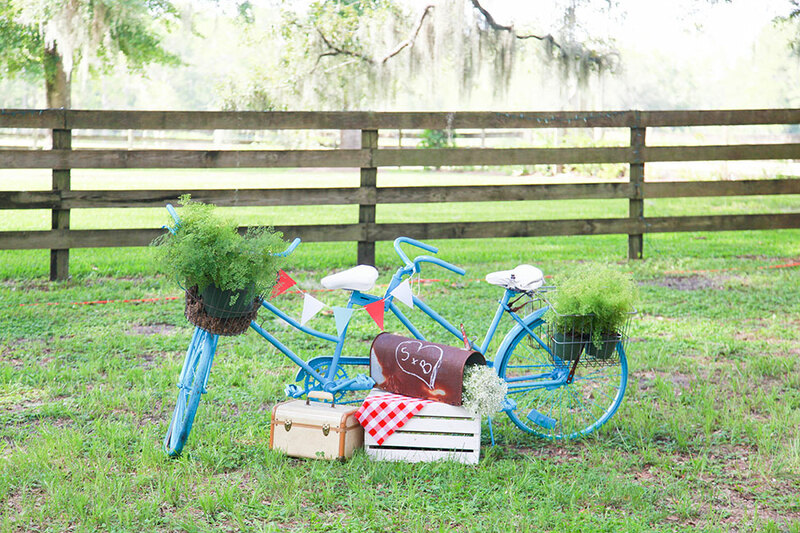 Keeping with the kitschy spirit, a vintage bicycle for two turned blue was loaded with lush greens, draped in bunting and finished with an old mailbox, complete with carved initials for the couple! 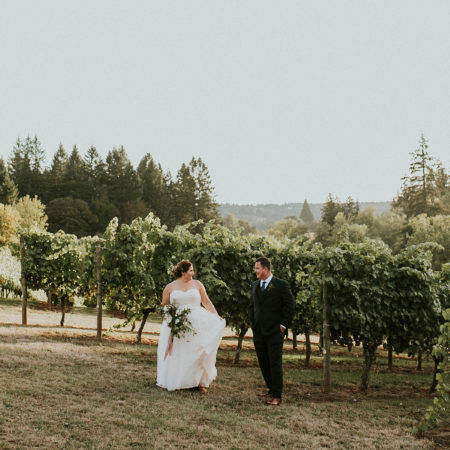 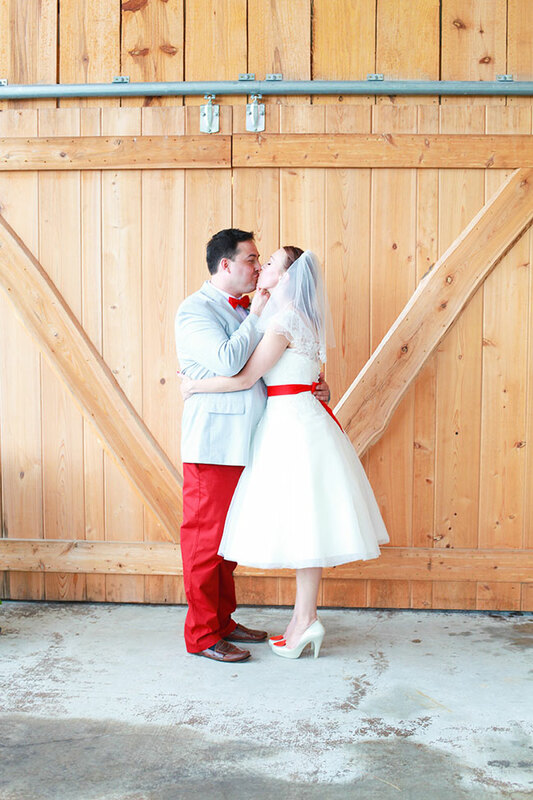 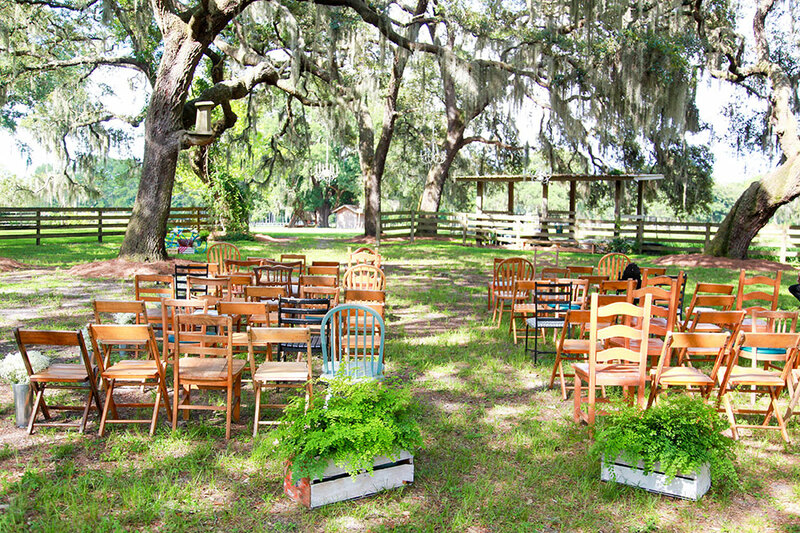 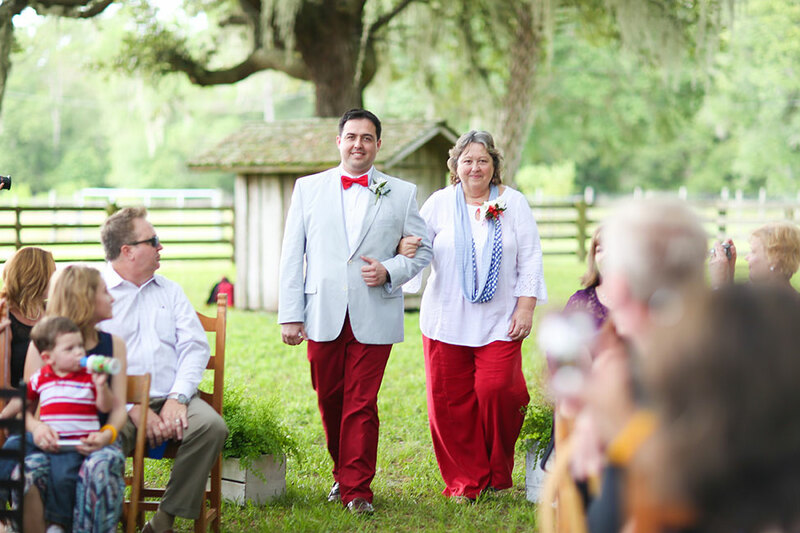 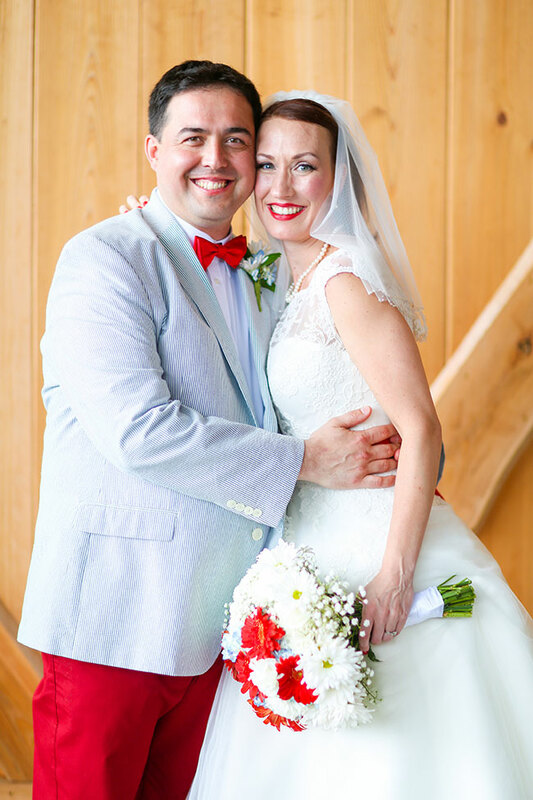 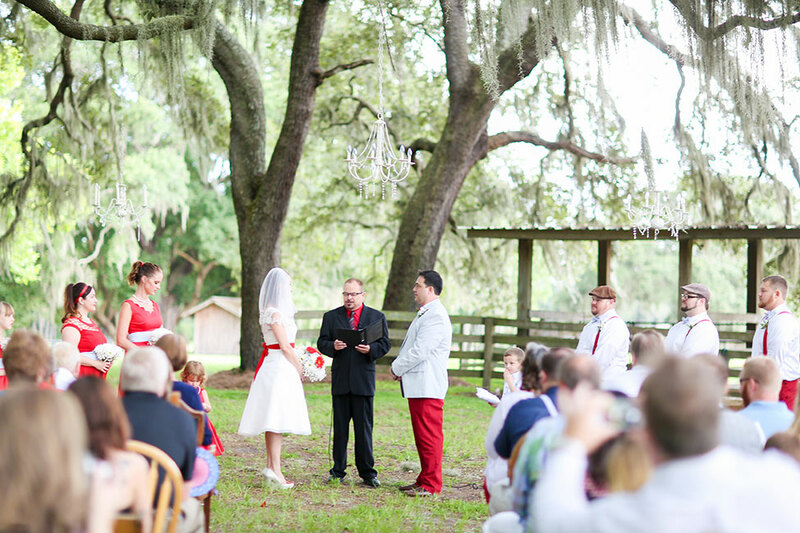 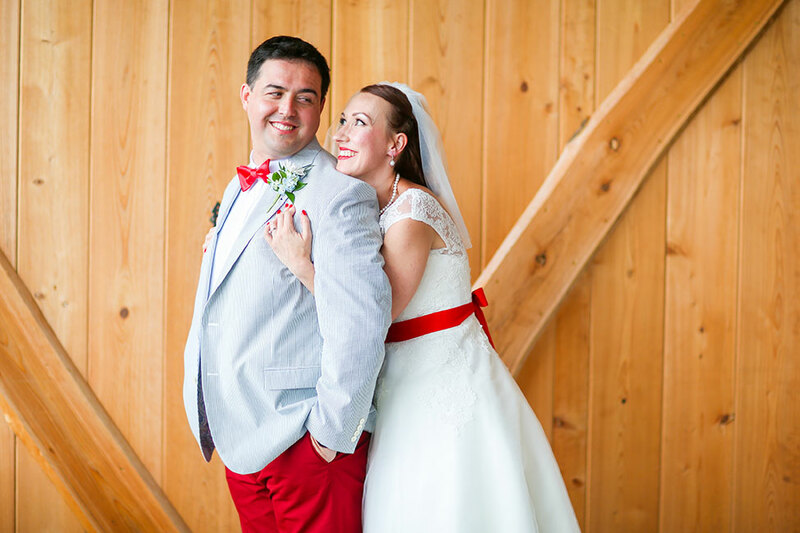 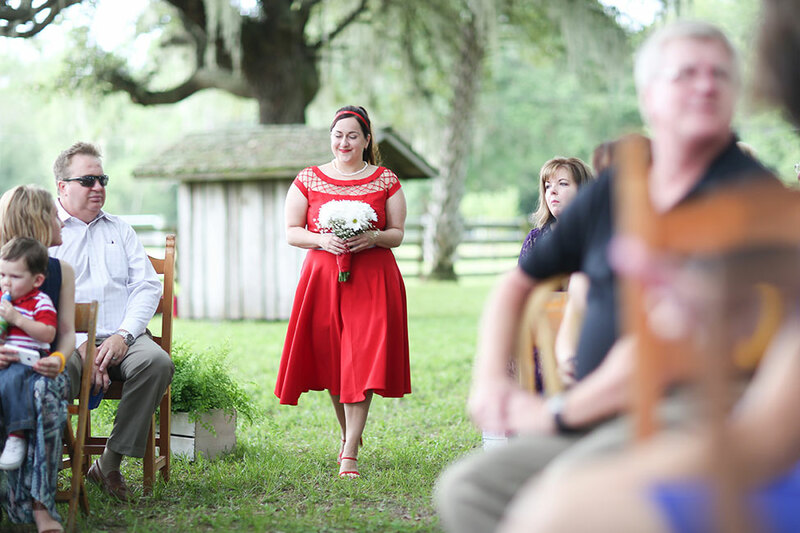 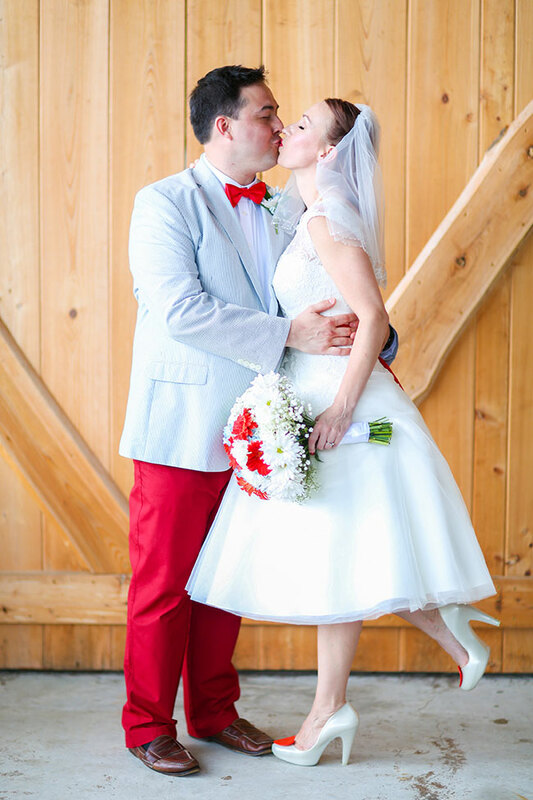 From the mix matched seating and tables to the ceremony under the oaks, we love how this couple brought to life their red white and blue wedding vision, in the most Americana of way!